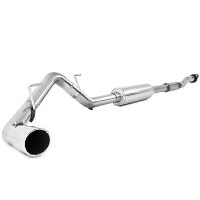 While the stock cat-back doesn't amount to much, just about any 2011-2014 F150 5.0L Cat-Back Kit will get your truck a great sound. 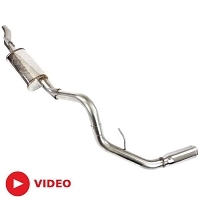 We have sound clips of a bunch of them so that you can find the one that's perfect for your truck! 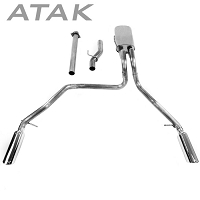 Once you're through with our cat-back exhaust kits, take a look at our cold air intakes or our tuners and monitors. 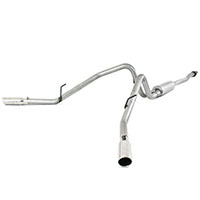 Ford F-150 Exhaust Fitments: 2011, 2012, 2013, 2014 Ford F150 with 5.0L V8 engines. 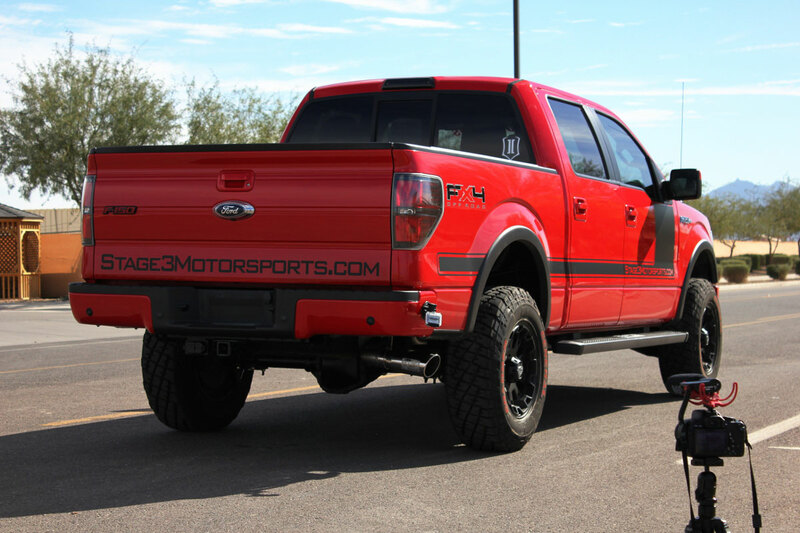 Submodel Fitments: FX2, FX4, King Ranch, Lariat, Limited, Platinum, STX, XL, XLT. 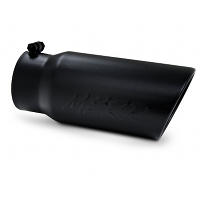 Some Exceptions apply, please see individual product pages for specific fitments. Getting to pick out the F150 cab and bed configuration that's right for your truck sure is pretty neat. 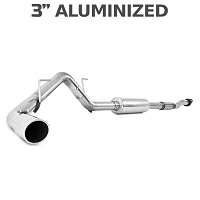 Too bad it makes shopping for exhaust kits a pain. 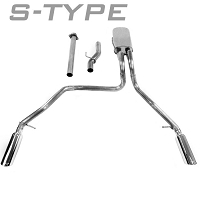 The sad truth of the matter is that different cab and bed combinations all result in different wheelbase lengths and not all of our cat-back exhaust kits will bolt right up to certain trucks without some custom work at your local exhaust shop. 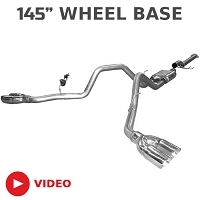 Some kits do come with extension and reduction pipes that allow them to fit with maybe some cutting, but anyone with a 126" , 133" , or 163" wheelbase should expect at least a little (if not a lot) of wetwork to get an aftermarket cat-back kit on their truck. If there's any good news, the two most common wheelbase sizes -- 145" and 157" -- don't need to worry about fitment. 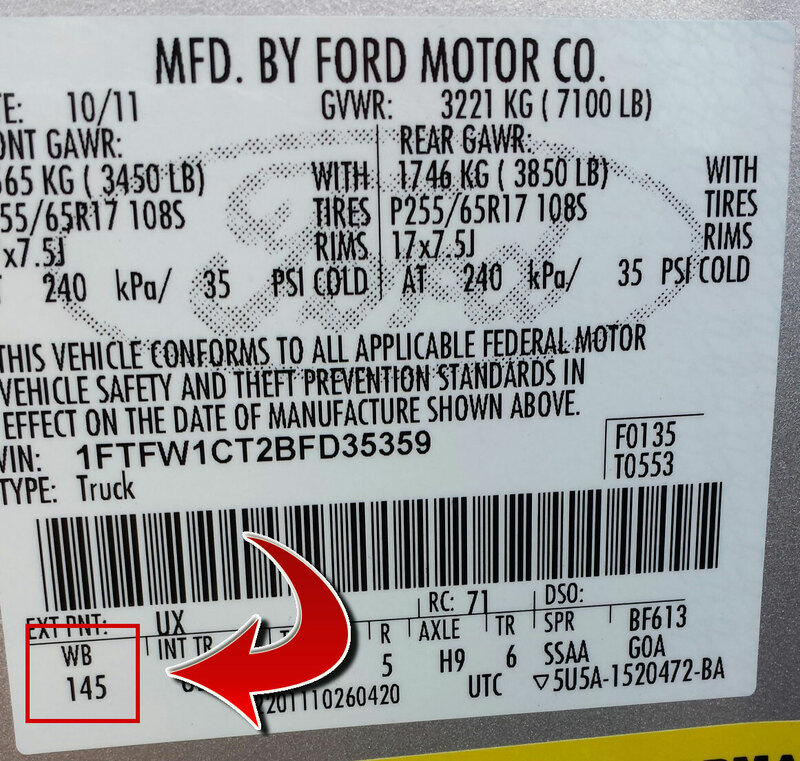 Nearly all of our F150 5.0L cat-back exhaust kits will bolt-right on to those trucks without any modifications. Check below for our wheelbase breakdown. 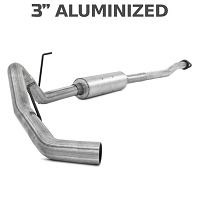 There are a ton of cat-back exhaust options for the 5.0L Coyote F150s. The good news is that most of them sound between pretty good and outright fantastic. 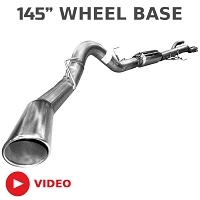 Still, with a huge amount to choose from we here at Stage 3 decided to grab our most popular F150 cat-back kits for a bit of a sound testing shootout on our 2012 5.0L FX4 Project truck. 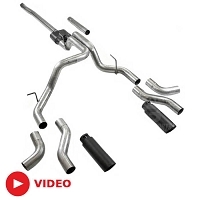 We understand that it can be confusing, if not downright frustrating, trying to pick out what cat back exhaust system has the sound you want by listening to countless clips online. Some of the videos are shot with people's iPhones or in conditions that interfere with the sound quality. 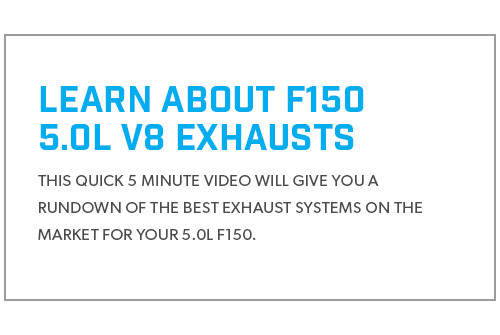 That's why we've tested 9 different exhaust systems on the same exact truck, using a high-def camera in order to deliver you a consistent comparison you can use to determine which exhaust tone is right for you.